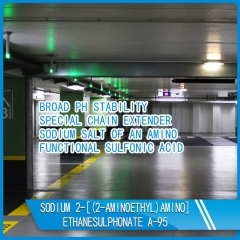 We offer kinds of special chemicals (monomer) for some special application area. 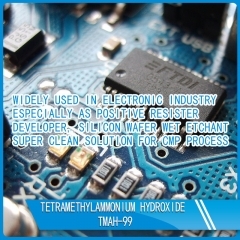 Water soluble polyester resin PT-100 is a special water soluble polyester resin. 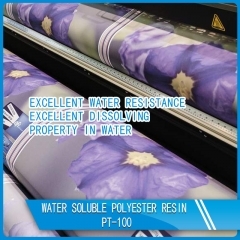 It has excellent adhesive force used for fabric, textile, PET, PVC, OPP and other materials. 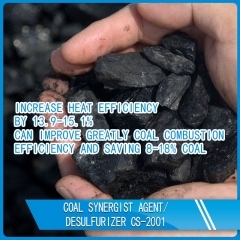 Description CS-2001 is high efficiency coal synergist agent/ desulfurizer. It Can improve greatly coal combustion efficiency and saving coal greatly. And make the smoke concentration, the soot emissions and sulfur dioxide concentration decreases enormously. Type Coal additive Key features Increase heat efficiency by 13.9-15.1% Can improve greatly coal combustion efficiency and saving 8-18% coal The smoke concentration decreases by 37.2% and the soot emissions decreases by 60%, SO2 concentration decreases by 23.4% and SOx emissions decreases by 25%. Typical properties CS-2001A Appearance: Black or light green viscous liquid Solid content (%): >20Density (g/cm3): 1.35 pH (10% in dist. water): 6-7 Water insoluble (%): <0.5 CS-2001B Appearance : Brown with green particle Active content (%): >99 pH (10% in dist. water): 6-7 Water insoluble (%): <0.5 Application -Raw coal -Steam boiler, hot water boiler, layer combustion boiler and suspension combustion boiler etc. -Coal-fired power plants, coal-fired industrial boilers etc. Storage and handling Available in 100 kg/barrel or 50 kg/barrel Store products in tightly closed original containers at 5-40℃ Shelf life: 12 months from delivery date According to non-dangerous goods transport How to use 1.Firstly, diluting 1 pair CS-2001 (1 kg CS-2001A and 2kg CS-2001B) with 200-400kg water (the water dosage is according to the moisture of coal) and stir it till it is dissolved completely. 2.Secondly, spray the solution into 10 ton coal and then mix the solution and coal particle homogenously by turning over. Remark: Make sure the coal particles don’t have redundant water flow away. 3. Secondly, keep the treated coals being put aside for 12 hours to make the CS-2001 spread into the coal particle inner. 4. Burning the coal and test its performance.